Qualcomm Inc's processors will no longer be utilized by Samsung Electronics Co Ltd. for their flagship smartphone Galaxy S series as reported by Bloomberg on January 21, 2015, Wednesday. As cited by Bloomberg with various unidentified sources, Qualcomm's new Snapdragon 810 chip had overheated during the Samsung’s testing period of their Galaxy S smartphone. Samsung then allegedly decided to use their own processors instead. The decision of the South Korean tech company will greatly affect Qualcomm's prospects for 2015 as Samsung is one of their top consumers. Samsung had been known as one of the leading smartphone manufacturer in the world and it will be a big loss for Qualcomm which had been looking at a weaker annual revenue growth in an issued five-year outlook on November 2014. Many expects Samsung to unveil the addition to their flagship on the sidelines of Mobile World Congress trade show to be held on March 2015. Samsung needs to secure that the consumers will not be disappointed to be sure that their global shares won’t decline down the market. Samsung had actually used their very own processors called Exynos processors in their Galaxy S5 though they had still mostly used Qualcomm Snapdragon in other devices. 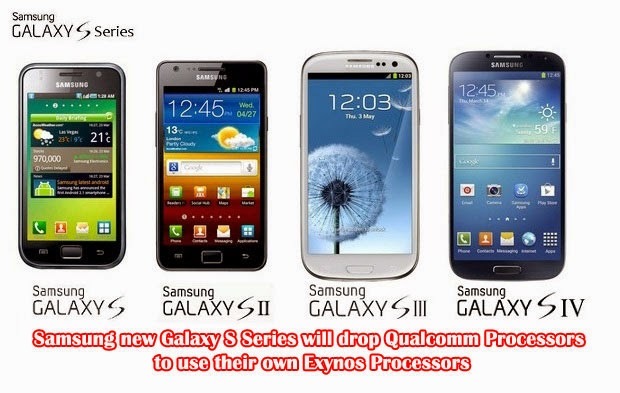 According to an analyst, if Samsung uses Exynos processors their sales will boost. Analyst Greg Roh of HMC Investment said that the addition to the flagship series of Samsung will soon be launched in about a month and a half and surely, the chips used in them had been tested in fair amount to secure customer satisfaction. If Samsung will utilize their own processors, it will add to their credentials and may help them in boosting their shares in the market. Samsung spokesperson firmly stays mum and said that won’t give any comment on such rumor, and Qualcomm declined to give any statements regarding the matter.